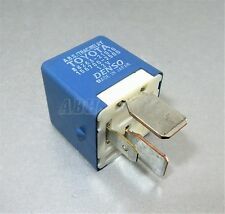 Genuine4 Pin Blue Relay (ABS (TRC) Relay ). Lexus : Fits almost all models from (1990 - 2012). Toyota: Fits almost all models from (1990 - 2012). Fits both LHD & RHD cars. Good Working Order. Made inJapan byDenso. Genuine4-Pin Black Motor Relay / Multi-UseRelay. Lexus : Fits almost all models from (1990 - 2012). Denso Part Number:056700-7581. Toyota: Fits almost all models from (1990 - 2012). Fits both LHD & RHD cars. Genuine3 Pin Grey Relay /Horn Relay. Toyota: Fits almost all models from (1980 - 2005). GenuineToyota Part. Fits both LHD & RHD cars. Good Working Order. 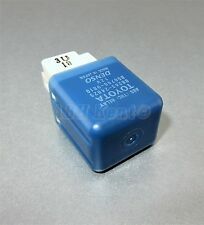 Genuine 4 Pin Blue Relay/ABS (TRAC) Relay. GenuineToyota/ Lexus Part. Made inJapan by Denso. Other Part Number:156700- 2500. Genuine Toyota/ Lexus Part. Made in Japan by Denso. Other Part Number: 056800-2280. Good Working Order. Genuine6-Pin Light Green Relay /ABS (TRC) Relay. Colour:Light Green. Fits both LHD & RHD cars. Good Working Order. Made inJapan byDenso. Genuine4 Pin Brown Relay (Multi-Use Relay ). Lexus & Toyota: Fits almost all models from (1990 - 2012). Good Working Order. Made inJapan byDenso. This is used and has daily use and age related marks to the outer casing etc but is otherwise working. This will fit Mk1 Lexus IS 200 2.0 1G-FE models 1999 - 2005 but I would always ask that you cross refer against any part you are replacing. Genuine5- Pin Grey Relay/Cooling Fan / Ignition Relay. Lexus & Toyota:Fits almost all models from (1990 - 2012). GenuineToyota/ Lexus Part. Made inJapan by Denso. Fits both LHD & RHD cars. Good Working Order. We are Breaking a 2004 Lexus IS200 SE XE10 Mk1 (Facelift). Wing Mirror Type. Option can be added at checkout. Screws, nuts and bolts are also classed as a free gift if included. Right / Left Hand Drive. Other Part Number:156700- 2540. 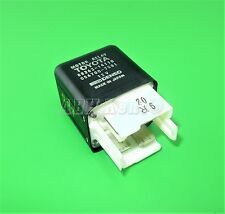 Genuine 4 Pin Grey Relay/Headlights Relay. Lexus & Toyota: Fits almost all models from (1990 - 2012). GenuineToyota/ Lexus Part. Made inJapan by Denso. This will fit Mk1 Lexus IS 200 2.0 1G-FE models 1999 - 2005 but I would always ask that you cross refer against any part you are replacing. Genuine 4 Pin Black Relay/(Multi Use). Lexus & Toyota: Fits almost all models from (1995 - 2010). Relay Colour:Black. GenuineToyota/ Lexus Part. Bosch Part Number:0332017307. Made inGermany By Bosch. Toyota: Fits almost all models from (1995 - 2010). LEXUS IS220D 2005-2010 DIESEL GLOW PLUG RELAY. USED CONDITION SEE PICS TO MAKE DECISION. ITEM CONDITION. All our used parts are in good condition(unless stated otherwise) and are tested prior to dispatch. 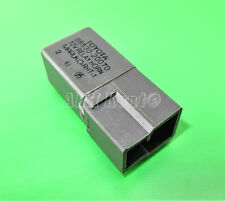 Toyota Lexus 4-Pin Power Window Grey Relay 90987-T2002 Denso AH156700-3130 12V Thailand. 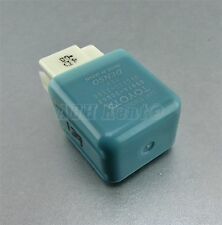 Genuine4- Pin Grey Relay/Power Windows Relay. Lexus & Toyota: Fits almost all models from (1990 - 2012). Genuine Toyota/ Lexus Part. Genuine4 Pin Black Relay / Multi-UseRelay. Lexus : Fits almost all models from (1990 - 2012). 12V ISO M4-S. Toyota: Fits almost all models from (1990 - 2012). Good Working Order. Made inJapan byDenso. 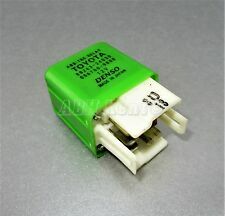 LEXUS IS220D INDICATOR FLASHER RELAY. REMOVED FROM A LEXUS IS220D 2.2 DIESEL 6 SPEED MANUAL SALOON. VEHICLE DISMANTLERS. CREDIT / DEBIT CARD. ISLE OF MAN. CHANNEL ISLES. SCOTTISH ISLES. SCOTTISH HIGHLAND. We try our best to make sure that you receive the item as you have expected it to be. In such a case. PART CONDITION IS. (IF PART HAS. PARTS SHOWN IN PICTURE IS WHAT YOU WILL RECEIVE! THIS PART IS GENUINE AND IN GOOD WORKING ORDER. ). REMOVED FROM LEXUS IS250 2.5 PETROL,SE-L AUTO,SALOON 2009 YEARS,204 BHP,6 SPEED AUTOMATIC GEARBOX,ENGINE CODE 4GR,PAINT CODE 077 WHITE. MY AIM IS TO MAKE SURE YOU ARE ALWAYS 100% HAPPY! WHAT YOU SEE IN THE PICTURES IS WHAT YOU WILL RECEIVE! Help us keep your car going for longer! OUR REF MA 1104. GOOD WORKING ORDER. LEXUS GS300 3.0 V6 AUTO 2006. ANY LOCATION OUTSIDE THE UK. Arran - KA27 KA25. Oban - PH 33, PA20-49, PA60-80, KA28. Inverness - ALL. Shetland ZE1-3. Orkney KW15-17. Help us keep your car going for longer! removed from 2001 SALOON 3UZFE 3UZ-FE LEXUS LS430 LS 430 May Have Minor Visible Usage Marks On It And May Need Cleaning. HEADLIGHT RELAY. ref refilled old box MA 1869 (JAN544). Lexus Is300 SportCross. UK cars are right hand drive.again I take no responsibility for any muddle up with Left Hand Drive Cars. Lexus IS300 IS200 Sportcross. UK cars are right hand drive.again I take no responsibility for any muddle up with Left Hand Drive Cars. Lexus Is300 SportCross. Relay 188100-2260. UK cars are right hand drive.again I take no responsibility for any muddle up with Left Hand Drive Cars. 2003 LEXUS IS200 2.0 PETROL. FITS MODELS: 1998-2005.